Dr. Bradley Oldfin has achieved advanced post-graduate training in the prevention, diagnosis and treatment of Temporomandibular Joint Disorders, and Sleep Breathing Disorders. He has completed extensive training and multiple mini residencies in TMJ and Orthodontics since 2004. He is a Diplomate of the American Board of Craniofacial Pain (DABCP) and a distinguished Fellow of the American Academy of Craniofacial Pain (FAACP) of which he has been a member since 2005. Dr. Oldfin is the founding member of the Canadian chapter of the AACP. He held a board position for 5 years of the Canadian chapter. He currently holds a position on the Institute Committee with the American Academy of Craniofacial Pain. Temporomandibular joint and muscle disorder, also known as TMJ, is a condition that causes pain and dysfunction to the jaw joints and muscles that control the jaw movement. Do you hear popping or granting sounds when you open your mouth? Do you feel pain particularly in the chewing muscles or jaw joint? If so, you may be suffering from Temporomandibular Joint Pain or Disfunction. 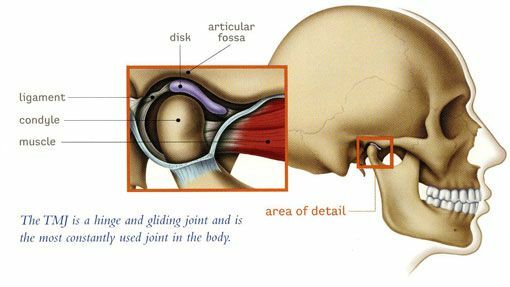 Learn more about TMJ (Temporomandibular Joint Disorder).